Genus: Mecardonia Ruiz & Pav. Alt. 0 - 3000 m.
Nativa en Colombia; Alt. 0 - 3000 m.; Amazonia, Andes, Pacífico, Sierra Nevada de Santa Marta. None recorded on specimens from our area. Argentina Northeast, Argentina Northwest, Belize, Bolivia, Brazil North, Brazil South, Brazil Southeast, Brazil West-Central, Chile Central, Colombia, Costa Rica, Cuba, Dominican Republic, Ecuador, El Salvador, French Guiana, Galápagos, Guatemala, Haiti, Honduras, Jamaica, Leeward Is., Mexico Central, Mexico Gulf, Mexico Northeast, Mexico Northwest, Mexico Southeast, Mexico Southwest, New Mexico, Nicaragua, Panamá, Peru, Puerto Rico, Trinidad-Tobago, Venezuela, Windward Is. 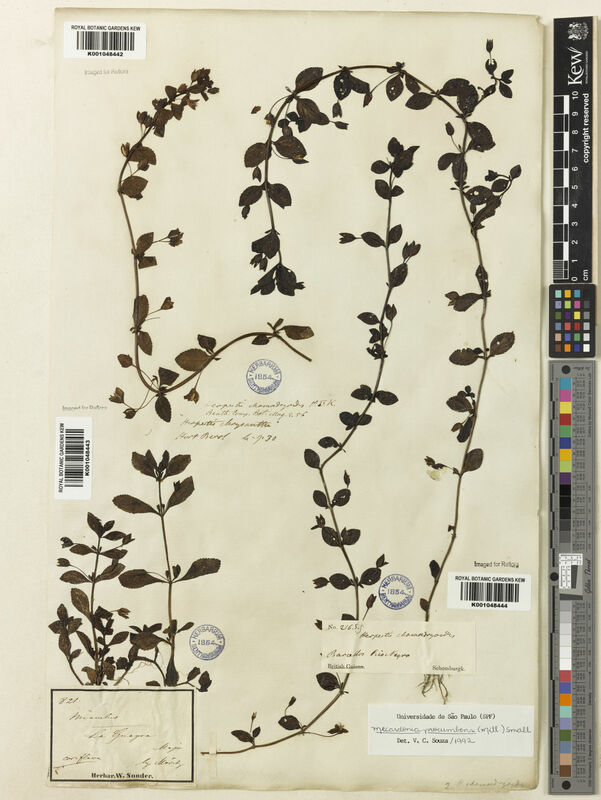 Bacopa chamaedryoides f. intermedia Chodat & Hassl. 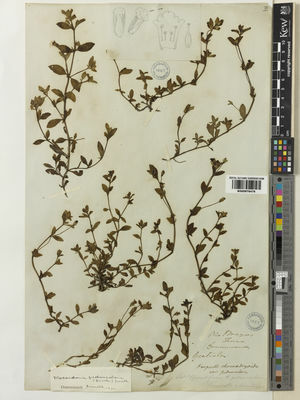 Bacopa montevidensis (Spreng.) Herter & Melch. 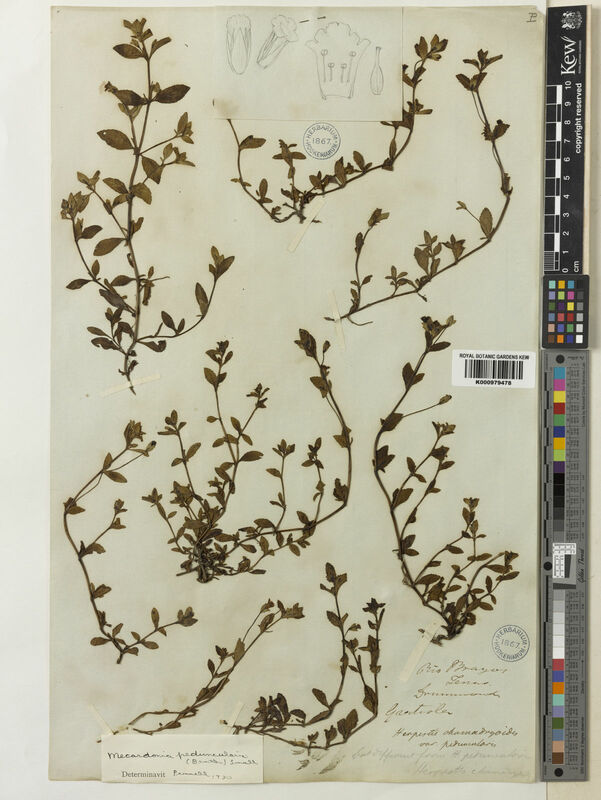 Bacopa procumbens var. schottii Greenm. Herpestis chrysantha Cham. & Schltdl. 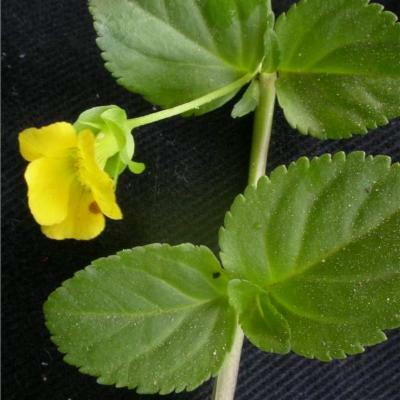 Mecardonia ovata Ruiz & Pav. Balkrishna, A. & al. (2018). New plant records to the flora of Haryana Indian Journal of Forestry 41: 117-127. Kuo, M.L. (ed.) (2012). Flora of Taiwan, ed. 2, Suppl. : 1-414. Editorial Committee of the Flora of Taiwan, Second Edition, National Taiwan University. Ghazanfar, S.A., Hepper, F.N. & Philcox, D. (2008). Flora of Tropical East Africa, Scrophulariaceae: 1-211. Kamilya, P. (2008). 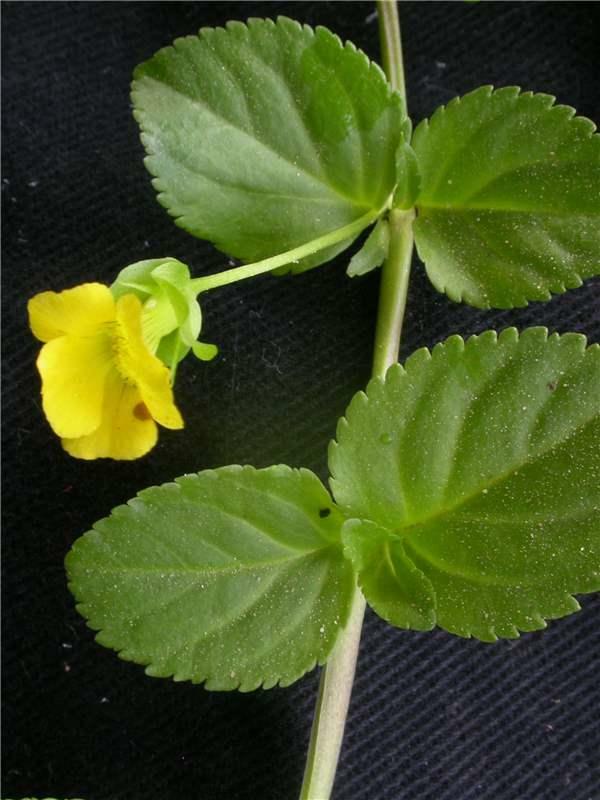 Survey of weed flora of Atrai river bed in Dakshin-Dinajpur in District of West Bengal, India Pleione 2: 77-86.